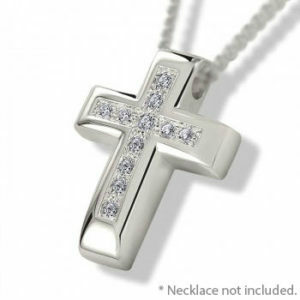 Handmade Sterling Silver Ashes Cross Pendant and Cremation Necklace with high shine finish from our cremation jewellery range. 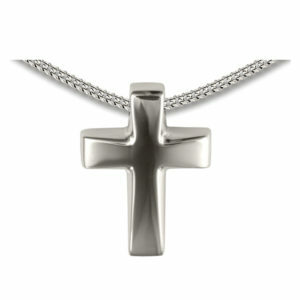 With an exquisite finish each cremation cross pendant holds a symbolic amount of cremated remains to keep your loved one close to your heart. High quality Hallmarked 925 Sterling Silver with a High Shine finish. 50cm 925 Sterling Silver Necklace included. 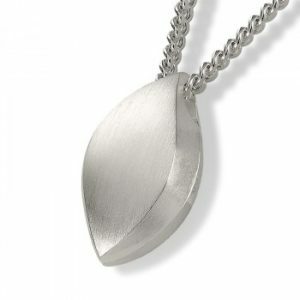 Pendant not attached to necklace but goes through it, ensuring a long life span. Supplied in a quality jewellery box. Mainland/non mainland UK – within 7-10 working days. Export – please contact us for delivery cost and duration. Click here to see filling instructions.